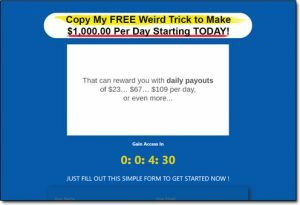 The Online Innovations system (found at online-innovations.net) has been put together by a guy named Teo Vee & it promises to provide you with a super easy way for you to begin earning as much as $1,000 per day online, all through some sort of so-called “free weird trick”. You’re led to believe that you don’t need to have any experience & the video even claims that making money with it is as simple as just hitting a button… But is any of this really true? Or is Online Innovations a scam that’ll just end up costing you money instead? What Exactly Is The Online Innovations System? So at a glance it might sound like a dream come true… BUT… There’s a catch – which is that in order to actually get access to the free weird trick you have to firstly hand over some of your own hard earned cash. Which means that when Teo Vee (the creator) claims it’s free – it’s not really free at all. And as you’ll soon see as you read further into my review, the whole thing could actually end up costing you thousands of dollars. The reason I know that is because I’ve actually seen this exact same program being promoted by Teo Vee under various different names – such as Discover The Plan, Broke Dishwasher & many others. Despite all of the different names though there is one program at the heart of it all, which is Teo’s My Ecom Club program. All of the websites (like the Online Innovations website) are just doorway pages that ultimately funnel people through into his My Ecom Club program – which is a very expensive course on something called dropshipping. And the reason he keeps on using these doorway pages & launching under different names is to attempt to escape the negative reviews that keep surfacing of his program so that he can trick more people into joining it. For example right now I am reviewing & exposing the truth about his Online Innovations program, but no doubt he is already working on setting up another site under a different name. As always though I do my best to keep up with these things to keep people safe. How Does The Online Innovations System Work? So basically as I mentioned above in this review, the Online Innovations system is not really a system at all – and as you might have also already guessed there is no “free weird trick” either. The whole thing has just been setup to essentially trick you into purchasing something called My Ecom Club, which is a training program on a method of making money called dropshipping. Now I’ll point out here that in itself dropshipping is actually a legitimate way of making money online – and in case you haven’t already heard of it, it basically involves you selling physical products using sites like Shopify or Amazon. It differs from traditional selling though as the whole concept is that you don’t actually purchase any of the stock until you make sales… So you arrange deals with suppliers, then you list the products, then you get the supplier to send the product directly to the customer. In theory it sounds easy & it sounds like a bit of a win-win… After all you only ship the product after you have received money for it, what could go wrong? Well the truth is that dropshipping is actually pretty darn difficult to break sustainable profits with & there are a good number of reasons for that. The first reason is that ecommerce stores are really difficult to market with the use of paid advertising – and as a newcomer paid advertising can be a very risky business indeed. In fact even for experts it can… I’ve seen many people burn through tens of thousands of dollars before finding a profitable campaign & if you don’t have that kind of money to burn (with the risk of losing it all) then ultimately dropshipping is not the best place for you to start. The second reason though is that you are entirely reliant on the supplier. Sure holding stock has its downsides, but it also has its upsides too – as it puts you in control of delivery time etc. 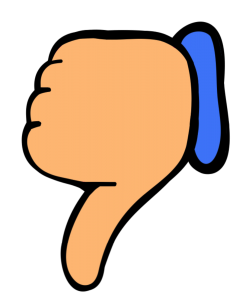 If you sell a product, then put an order in with the supplier & they fail to deliver… The customer will request a refund & you’ll be out of pocket. So on the surface it may seem pretty cool, but take it from me there are MUCH better alternatives – like affiliate marketing. With affiliate marketing you don’t need to do any of the risky work associated with dropshipping – instead you can leverage other people’s products. That’s because with affiliate marketing all you need to do is connect people with the products they’re looking for & you get paid commissions in return. So for example you could become an affiliate of Amazon & if you did then you’d get a unique link to their products which you could share. Then, if somebody clicked the link & made purchase – you’d earn money. Affiliate marketing is WAY simpler than dropshipping & in my opinion it’s hands down the best place for any newcomer to start. Plus over at Wealthy Affiliate you can even get started for free. But that’s not the only reason I don’t really recommend My Ecom Club (aka Online Innovations). I mean even if you’re dead set on sticking with dropshipping I still wouldn’t recommend My Ecom Club to you. The Online Innovations website really hypes up the opportunity of making money & it mentions several times that the whole thing is based off a “free weird trick”… So you’re led to believe that you won’t need to spend any money. However that’s total BS, because literally after watching the video you’re taken to an order page where you’re asked for $97 to get started with the program. 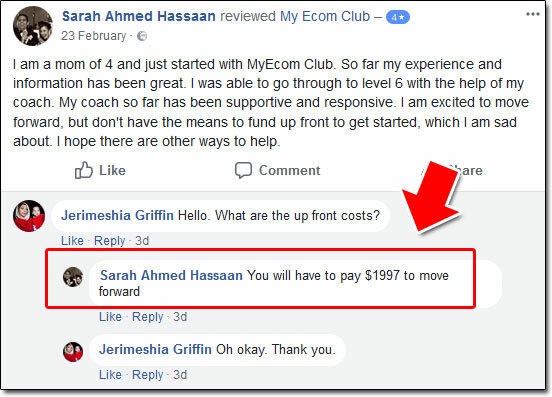 Then, if you hand over the $97 (which I don’t recommend doing) you’ll discover the hard way that what you’ve actually bought into is the My Ecom Club program – and once you’re inside of that you’ll be asked for even more money. So that “free weird trick” will quickly turn into $1,997… And I’m certain there’ll be more costs hidden away inside of there too. That sure as heck doesn’t look good to me – and those are just a handful I quickly grabbed. 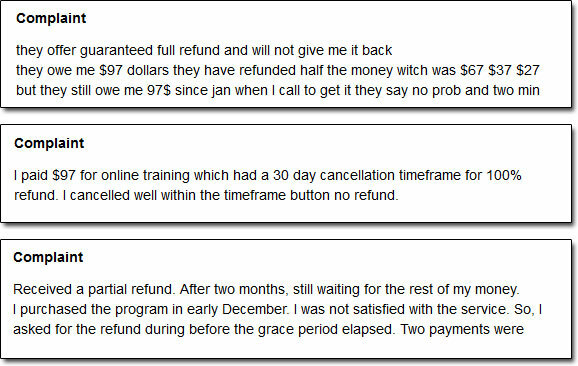 There are actually many, many more complaints about this program & I’ve yet to find any truly satisfied customers. But Can You Actually Make Money With It? Well again as I mentioned earlier in this review the answer is yes – it’s possible to make money with dropshipping in general… But will you actually make money as a result of going through the Online Innovations system / My Ecom Club program? So even the creator of the whole thing is basically admitting that you are going to be unlikely to actually make any money with it… Which means it’s clear to see that he’s just mainly interested in taking money from you. My Verdict – Is Online Innovations a Scam? In my opinion yes, it is a scam – and I know that this will be a controversial verdict as you do indeed get access to some training on a legitimate method that in itself could help you to make money… But in my opinion the creator of the Online Innovations system is more interested in making himself rich at your expense than helping you to actually make money with dropshipping. The website overly hypes up the opportunity & promises that it will be a lot easier than it will be. You’re led to believe that you can simply just “hit a button” to begin profiting through the so-called “free weird trick” but in actual fact that is VERY far from the truth. To find success with dropshipping you will be required to put in a lot of work (and spend a lot of money) – so ultimately the creator of the whole thing is just trying to trick you into handing over your cash… And it’s only after doing that you’ll discover the hard way that what you have been sold is not what you were promised. Plus like I also mentioned earlier in this review as far as I’m concerned there are simply much better ways to make money online. And at least with affiliate marketing (one of my all-time top methods for making money) there are places like Wealthy Affiliate where you can get started for free – so you can at least check it out without having to risk large sums of cash. Whatever you decide to do though I just hope that my honest review of Online Innovations here has given you a good insight into how it all really works & hopefully you can see why I’ve arrived at the conclusion I have done. Yoonla Review – Is It a Scam or Legit Opportunity? 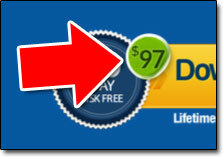 My Hidden Pages Review – Big Scam or Legit System For Making Money? The Britcoin System Review – Another Scam or Legitimate Way To Make Money?